We are making this new monthly service available via email so you have the opportunity to review the estimated value of your home and the current sales of properties like it in your neighborhood. Please contact me - jfstegner@msn.com or 970-412-1657 if you would like to take advantage of ePropertyWatch. "New Listings were down 4.2 percent for single family homes but increased 3.5 percent for townhouse-condo properties. Pending Sales landed at 227 for single family homes and 69 for townhouse-condo properties. The Median Sales Price was up 1.4 percent to $408,500 for single family homes and 12.4 percent to $310,000 for townhouse-condo properties. Days on Market decreased 5.1 percent for single family homes but increased 11.2 percent for townhouse-condo properties. The National Association of REALTORS® recently reported that national existing-home sales were down slightly during January 2019 and that pending sales were up in year-over-year comparisons. It is worth noting that some softening of sales was anticipated, as was a positive sales bounce during January 2019 after a slow end to 2018. Weather-related events have hampered some of the necessary machinations of making home sales during February 2019, yet buyers have shown determination toward achieving their homeownership goals." 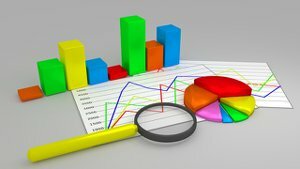 "For more news and a complete review of the latest housing statistics and information compiled by the Fort Collins Board of Realtors click here and download the full report. 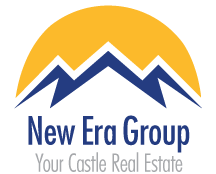 On behalf of all the agents here at New Era, we are proud to be recognized as the number one producing team in Colorado by Real Trends. On the national stage we ranked 67th overall in transaction sides and 99th in sales volume. "New Listings were up 19.9 percent for single family homes and 17.1 percent for townhouse-condo properties. Pending Sales landed at 189 for single family homes and 62 for townhouse-condo properties. The Median Sales Price was up 6.8 percent to $400,370 for single family homes and 2.6 percent to $277,000 for townhouse-condo properties. Days on Market decreased 10.2 percent for single family homes but increased 58.3 percent for townhouse-condo properties.
" New Listings were down 40.9 percent for single family homes but increased 39.4 percent for townhouse-condo properties. Pending Sales landed at 124 for single family homes and 49 for townhouse-condo properties. The Median Sales Price was up 6.4 percent to $400,000 for single family homes and 3.8 percent to $285,550 for townhouse-condo properties. Days on Market increased 3.8 percent for single family homes but remained flat for townhouse- condo properties. Unemployment rates remained remarkably low again in 2018, and wages continued to improve for many U.S. households. It is generally good for all parties involved in real estate transactions when wages grow, but the percentage of increase, on average, has not kept pace with home price increases. This created an affordability crux in the second half of 2018. 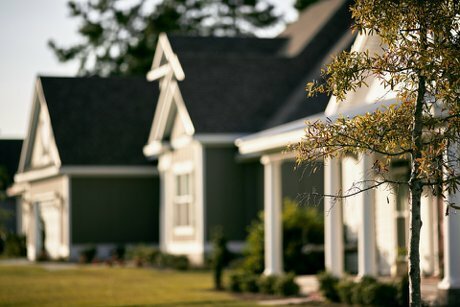 Housing affordability will remain an important storyline in 2019." "New Listings were up 12.6 percent for single family homes and 12.3 percent for townhouse-condo properties. Pending Sales landed at 184 for single family homes and 46 for townhouse-condo properties. The Median Sales Price was up 8.0 percent to $405,000 for single family homes and 8.7 percent to $299,000 for townhouse-condo properties. Days on Market increased 4.1 percent for single family homes and 14.1 percent for townhouse-condo properties. The Bureau of Labor Statistics recently reported that the national unemployment rate was at 3.7 percent. Low unemployment has helped the housing industry during this extensive period of U.S. economic prosperity. Home buying and selling activity relies on gainful employment. It also relies on demand, and builders are showing caution by breaking ground on fewer single-family home construction projects in the face of rising mortgage rates and fewer showings." Further, go to our homepage and select a town listed there and you will be able to see other town's stat too! LOCATED CLOSE TO OLD TOWN AND CSU, THIS UNIQUE METICULOUSLY KEPT HOME WITH 10' CEILINGS AND MANY UPGRADES IS WAITING FOR YOU. A beautiful ranch like this one is a rare find in Fort Collins. Below is a list of its many amenities and upgrades. In addition, you also have access to a club house and workout gym. 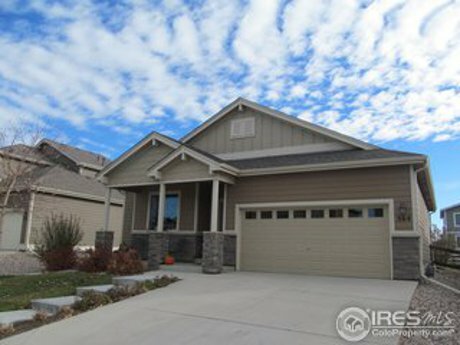 · Handicapped Features – Walker wide front door entrance and garage and open floor plan. · Walk-in shower with 3 safety grips. · Hunter Douglas window coverings in living room and master bedroom. · Sidewalk to back yard. · Close to Old Town – CSU - AND MUCH MORE! I've had people walk in the door of a home I am showing them and they almost immediately fall in love with it. I even had one woman break into tears when she entered a 104 year old Victorian. This is a wonderful moment for clients. But it also can be a moment where a buyer looses track of what might be some real practical concerns in terms the hidden problems or costs involving the home or the neighborhood it sits in. Here are a few things that a good Realtor will help a buyer with that allows them to settle into a less emotional state as they move through the process of checking out the home and its surrounding area. 1 - What is the Neighborhood like? Make sure and visit with people who live near and around the home and see if it is considered to be a pleasant and safe place to live. Having good neighbors is one of the real joys of home ownership. Use the nose when investigating a home. Is it possible that the perfumed odor from a infusion device or a nice spice simmering on the stove is there to hide an unpleasant odor — such as mold or lingering animal smells? Remember that room sizes can appear differently — if the home is empty its rooms will appear larger than they might actually be. If they are furnished, ignore the furnishings that are in the home and envision, or even measure the rooms, to see how ones personal furniture would fit in the room. Many times homes are staged to put their best foot forward. Look past the staging and make sure you see the real home behind it. Visit the house multiple times at different times of day - especially during high volume traffic times - when school gets out and at rush hour. Ask a neighbor about train whistles - especially the really loud ones that come at night. 5 - How About Schools in the Area? How important are the schools to individuals - we always help clients check out the quality and location of schools. Close proximity to a school is great when you have kids. 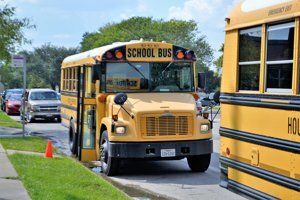 If one is across the street or if the home is in a heavy traffic pattern associated with a school, this can be a real nuisance. Understand that the seller probably will not repair or replace all items that were found on the inspector's list of issues. One will have to fix stuff on their own and doing so could be costly. 7 - How Much Upkeep does a Property Require? Keeping a house and property maintained is often overlooked when purchasing a home. 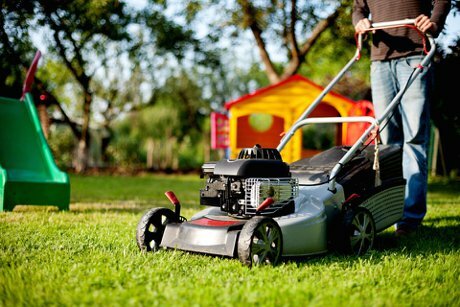 Really big homes have lots of rooms that need cleaning and big yards need to be mowed. Maybe you love to do these chores — or maybe you can afford to hire help getting the weekly jobs around the house done. Either way, factoring in the regular maintenance of a property is an important consideration. Falling in Love with a home is the first step, but only the first step in buying a home. Here is another informative Blog I wrote that outlines 4 more questions that buyers should be asking themselves as they move into and through the process of buying home. Lot’s going on this October in Northern Colorado! 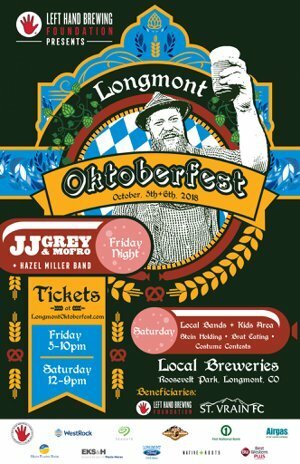 “For the 7th year in a row, Longmont Oktoberfest is Longmont’s favorite fall gathering featuring national touring act and Red Rocks headliner JJ Grey and Mofro, 10+ breweries, local food, and games for all ages. Ranked as a “Must Visit Oktoberfest” by DRAFT magazine, Longmont Oktoberfest celebrates the summer’s transition to fall on October 5th and 6th at Roosevelt Park. Pull out your lederhosen and dirndls, grab a pretzel or brat, and don’t forget a pint from your favorite Longmont breweries while supporting Longmont charities. Prost!” Tickets & More Info! “Join award-winning filmmakers, visionary conservationists, and the world’s foremost names in adventure at the 14th annual Adventure Film Festival & Street Fair at the Boulder Theater and Pearl Street Mall. Presented by Meridian Line, this three-day adventure immersion showcases a selection of 2018’s most critical and transformative independent films, featuring special guests and live performances. From ultramarathons to Inuit activism, folk rock to rock climbing, no two films have the same stripes—each is crafted to shift the way we view our world and ourselves.” Tickets & More Info! Longmont “The Longmont Museum and Cultural Center, 400 Quail Rd., will be hosting their 18th Annual Día de los Muertos, or Day of the Dead, exhibit Oct. 13 – Nov. 6 offering all guests FREE admission. The Longmont Museum’s Day of the Dead exhibit allows you to learn more about the cultural tradition of celebrating and honoring deceased loved ones by viewing community-made altars, participating in exhibition tours, seeing one of many music and dance performances and joining the Family Celebration on Saturday, Nov. 3.” More Info! 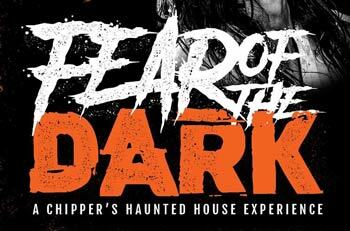 “Chipper’s Lanes is proud to be presenting a true Fort Collins Haunted House. This is a limited run event. All ages are welcome, though the haunted house is not recommended for anyone under the age of 10.” More Info! “Join us for the 6th Annual Loveland Zombie Crawl on the evening of Saturday, October 20th! It’s the time of year when the zombies inhabit the streets of downtown Loveland. The back patio of Loveland Aleworks will feature zombie dogs, decorations and treats. Gather your friends and get dressed up in your finest zombie attire. The event begins at Loveland Aleworks and proceeds throughout Downtown Loveland at participating locations.” More Info! “The Rocky Mountain region is home to a booming craft spirits industry. Distillers and consumers of fine spirits are invited to celebrate this craft at a tasting festival in Estes Park, Colorado. Admission includes a souvenir tasting glass, complimentary pours from a variety of distillers, bar games, and live music. So raise a glass to raised standards, and make your plans for the last Saturday in October.” Tickets & More Info! “Each Halloween downtown Boulder is invaded by tiny ghosts & goblins, dinosaurs & dragons, fairies and princes, super heroes & animals of every size for trick-or-treating at local businesses along Pearl Street and throughout Downtown Boulder.” More Info!